This one is just adorable… I could come up with all kinds of little sayings I want painted on wood like this – finding places to hang them in my house is the problem! ha! I'll just have to get you to do them as gifts for other people… XoXo! I can't wait until I have myself a house one day, so I can get you to do me some cute stuff like this. 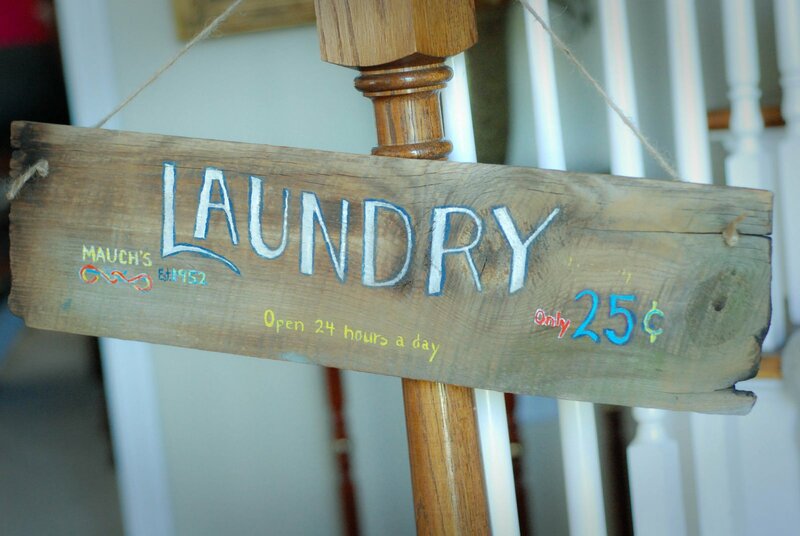 I love this laundry sign! I've been waiting on this, I love it!